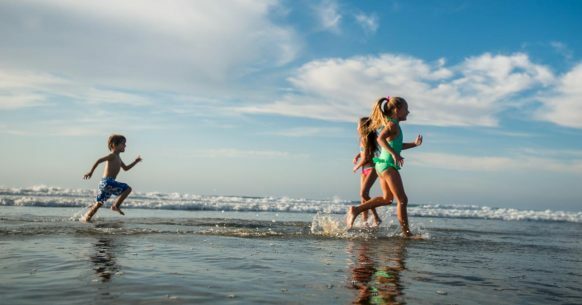 Spend the upcoming weekend in San Diego enjoying everything California’s Beach City has to offer including 100+ Kids Free Offers, Halloween fun, and these top things to do. San Diego extends an invitation to all little explorers to enjoy Kids Free San Diego this October. During the month-long celebration your little ones will be treated to free admission at attractions, meals on the house and tons of other great perks throughout the city. Enjoy more than 100 partner offers—as well as warm fall weather without the summer crowds. There’s big fun waiting for kids, with savings that parents will love. The San Diego Italian Film Festival showcases the best of new Italian film with a series of premieres ranging from dramas and comedies to documentaries. Returning for its 6th season, Boomont & Fall Fest rises from the dusk as Belmont Park transforms with festive Fall thrills and chills throughout the beachfront amusement park, offering Halloween and Fall-themed festivities for guests of all ages in October and November – plus Halloween! A walk-thru haunted experience where “dead performers” interact with the audience on a journey to learn what terrors happened here. Not for the weak of heart. Be afraid! Be very afraid! Learn the official account of Kate Morgan’s 1892 visit to The Del and why her spirit never left in this 45-minute ghostly tour of the resort. Walk in Kate’s footsteps after dark as you uncover the mystery of her death, other spirits who haunt the hotel and ghostly guest encounters. In celebration of the 20th Anniversary of San Diego Dance Theater’s iconic “Trolley Dances,” we polled the public and are bringing back your favorites – original sites and dancers used whenever and wherever possible. Join the Pacific Southwest Railway Museum Association in the Pumpkin Express Halloween Celebration complete with a train ride, pumpkin patch and more. Balboa Park is host to Maker Faire San Diego, a celebration of technology, arts, crafts, science, many more projects and the Do-It-Yourself (DIY) mindset. The free La Jolla Art & Wine Festival combines the best parts of the chic coastal town of La Jolla for a weekend of fine art, delectable wines, craft beers, scrumptious food, and live music. The event will span a 55,000 sq. ft. block of India Street between Ash Street and A Street. West Coast Oktoberfest will feature traditional German music, booths serving up Bavarian pretzels and bratwursts, themed contests and plenty of beer to go around, with the added option to purchase a German beer stein to take home. West Coast Oktoberfest is a 21+ event. Pacific BeachFest has something for everyone including a fish taco contest, surf competition, beach volleyball, craft beer, kids activities and music! There will be plenty of free, fun and family friendly action on the beaches and along the boardwalk at this year’s Pacific BeachFest. This entry was posted in San Diego Events, Top Things to Do and tagged county, entertainment, kids free by Brent Bernasconi. Bookmark the permalink.